Providing people with information is considered an important first step in encouraging them to behave sustainably as it influences their consumption beliefs, attitudes and intentions. However, too much information can also complicate these processes and negatively affect behaviour. This is exacerbated when people have accepted the need to live a more sustainable lifestyle and attempt to enact its principles. Drawing on interview data with people committed to sustainability, we identify the contentious role of knowledge in further disrupting sustainable consumption ideals. Here, knowledge is more than just information; it is familiarity and expertise (or lack of it) or how information is acted upon. We find that more knowledge represents a source of dilemma, tension and paralysis. Our data reveal a dark side to people’s knowledge, leading to a ‘self-inflicted sustainable consumption paradox’ in their attempts to lead a sustainable consumption lifestyle. Implications for policy interventions are discussed. Maintained consumption levels searching for information to evaluate marketplace offers; purchasing sustainable offers; doing grocery shopping in alternative retailers where food is not packaged and consumers can buy it loose. Knowledge of sustainable offers and of the environmental and socially damaging effects of unsustainable alternatives; familiarity with the labelling system and its multiple eco-friendly/social-friendly/ambiguous different labels. Maintained consumption levels purchasing from a food cooperative organically and locally produced vegetables and fruits. Searching for information on brand stories and practices to evaluate their coherence with sustainability principles or their degree of green washing. Knowledge of the functioning of the marketplace; critical thinking; knowledge of the environmental and social problems caused by overconsumption in different countries worldwide. Maintained consumption levels reading technical manuals, books and product comparisons to choose the most energy-efficient appliances. Purchasing solar panels, energy-efficient bulbs and lamps. Purchasing expensive brands, which assure a long product life. Purchasing goods that bring social benefits to their producers (i.e. buying decorative items produced from discarded pieces of cloth by women in third world countries). High technical knowledge concerning the environmental effects caused by energy inefficient products. Constant development of knowledge background on brands, which are distinguished for their environmental and social benefits. Maintained consumption levels purchasing from food cooperatives and locally sourced shops rather than heavily relying on mass market chains. Knowledge of the labelling system. Maintained consumption levels purchasing a hybrid car and doing car sharing. Designing sustainable buildings to be eco-efficient and to favour community life in the neighbourhood. Purchasing energy-efficient goods (i.e. boiler, solar panels, household appliances). Buying organic meat and free-range eggs. Maintained consumption levels purchasing energy-efficient appliances and energy monitors. Draught-proofing around windows and doors. Reduced consumption levels embracing a frugal lifestyle. Cutting down on his consumption (i.e. refraining from buying new clothes, new unnecessary leisure items). Maintained consumption levels preferring to purchase locally produced goods. Familiarity with climate change’s environmental, economic and social effects. Knowledge of marketplace functioning. Maintained consumption levels purchasing organic and biological fish, jams and teas. Purchasing fruit and vegetables in season from farmers markets and local shops. Knowledge of sustainable offers. 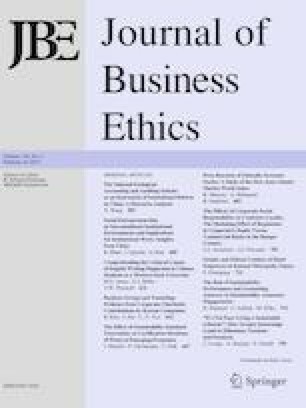 Expertise on evaluating the credibility of brands, greening their brand personality. Familiarity with the labelling systems certifying the attainment of sustainable credentials. Maintained consumption levels Buying in bulk to reduce packaging. Subscribing to a community-supported agriculture box scheme to get seasonal vegetables and fruit. Purchasing energy-efficient appliances, insulating the house and installing solar panels. Knowledge of chains of production and distribution of goods and familiarity with their characteristics and the relative environmental and social effects. Maintained consumption levels purchasing from farmers markets and locally sourced shops. Preferring to buy products that are produced and distributed locally to keep the carbon footprint low. Knowledge of the functioning of networks and awareness of the resources utilised by the different stakeholders to accomplish their tasks. Critical thinking and evaluation of the environmental effects of production and distribution processes. Maintained consumption levels purchasing eco-efficient household appliances. Draught-proofing and insulation of the house to save energy and to contain damaging environmental effects. Varied knowledge on sustainability matters, both regarding environmental and social issues. His extensive knowledge background originated from attendance of different workshops, watching television programmes and documentaries, personal experiences at seminars on sustainability. Maintained consumption levels buying locally sourced goods when possible. Knowledge of the environmental and social benefits of growing and consuming local food. Reduced consumption levels he is a holistic simplifier because he minimises his consumption to commit to a ‘simpler life’. His education informs also his scope for self-enhancement and he conceives his engagement in sustainability also in spiritual terms. Development of his knowledge of sustainability issues by reading the biographies of people who live their lives by the principles of sustainability. Knowledge of the environmental and social effects of overconsumption as generating a throw-away society. Maintained consumption levels purchasing offers in line with environmental and social sustainability principles. Attentive evaluation of the sustainable friendliness of marketplace offers. Maintained consumption levels buying locally sourced groceries. Purchasing as ‘voting’ to reward local shops and local companies that conduct their activities by being loyal to local traditions and by preserving the environment. Knowledge of the functioning of the marketplace and its actors. Expertise on evaluating sustainable offers based upon their supply chains, production and distribution processes, respect for certification. Seyfang, G. (2009). Green shoots of sustainability. The 2009 UK transition movement survey [online]. Norwich: University of East Anglia. Retrieved February, 15, 2016, from http://transitionus.org/sites/default/files/SurveyofTransitionintheUKjuly09.pdf.